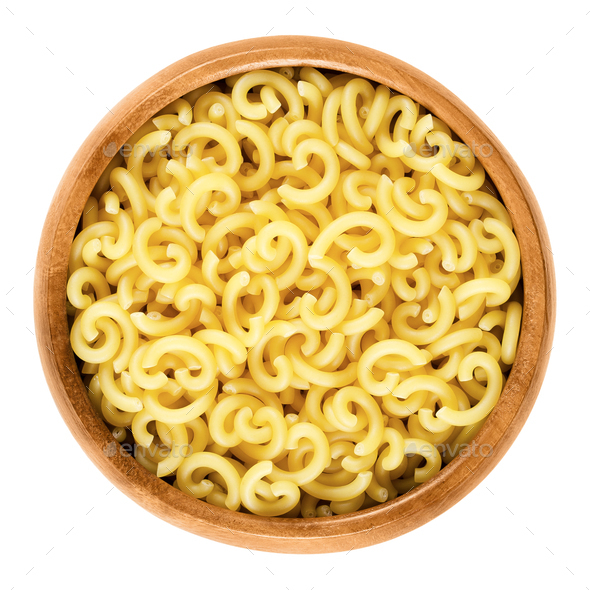 Gobbetti pasta in wooden bowl. Italian noddles, short-cut and G-shaped helical bent tubes. Uncooked dried durum wheat semolina pasta. Isolated macro food photo over white background.